Do You Need A Battery Grip For Your Camera? 1) It adds bulk and weight to the camera. 2) It takes two batteries which is not necessarily a good thing. 3) The cost of the camera manufacturer brand can be pricey. Battery grips can be an advantage or disadvantage as you can see above. At the end of the day, I prefer having a battery grip vs. not having one. The cons of bulk and weight, taking two batteries and cost do not outweigh the pros for having one. I haven't found that having two batteries makes it any easier to shoot longer than using a camera without a grip and one battery. If you are considering a battery grip and decide to go with the brand name for your camera, it will cost quite a bit more than the non-brand name grips that are readily available. The non-brand names often seem a little larger than the ones made by the manufacturer. 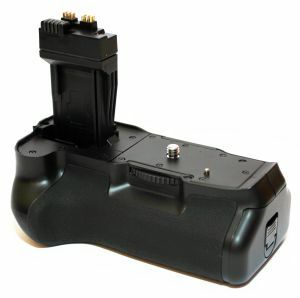 However, the non-brand names can be $100 to $150+ less than the manufacturer battery grip.